My good friend, Felicity (Felix) Ford launched her Kickstarter campaign to write and publish The KNITSONIK Stranded Colourwork Sourcebook less than a month ago and I have the great honour of being the last blogger on her blog tour. The campaign is now fully funded but the best way to ensure you get a copy of what is going to be a truly amazing and inspirational book, is to pledge to the campaign before it closes later today. There has been a marvellous blog tour going on over the month where Felix has answered many questions and already provided us with tantalising glimpses of what the book will be like. To sign off the tour, we had a wonderful email conversation about taking inspiration from what is all around us and naturally, our thoughts turned to my new home and how the sights that I now see every day could be turned into stranded colourwork. We are both planning to use these images to create a piece of stranded colourwork based on the images we have chosen, and later in the year, Felix and I will come back to the blog and share our creations! Felix: It's been amazing following your instagram feed and getting a sense of where you are living now. Exploring an everyday sense of place and finding ways to celebrate what is right around us is key to The KNITSONIK Stranded Colourwork Sourcebook, so it was really nice to think about what you might translate into stranded colourwork over there at Monkley Ghyll, and to look at the photos and think about some of the colours and shades in the landscape where you live. 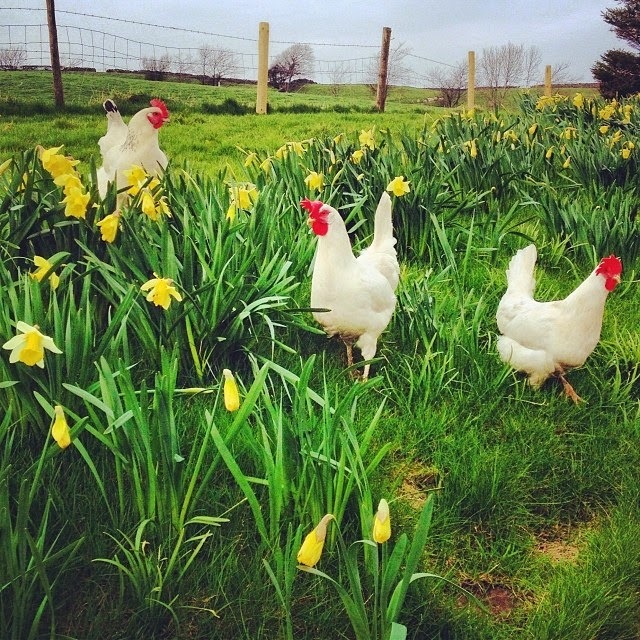 I picked out from your instagram loads of daffodils and lambs... a very yellow, blue, green, white palette for spring! 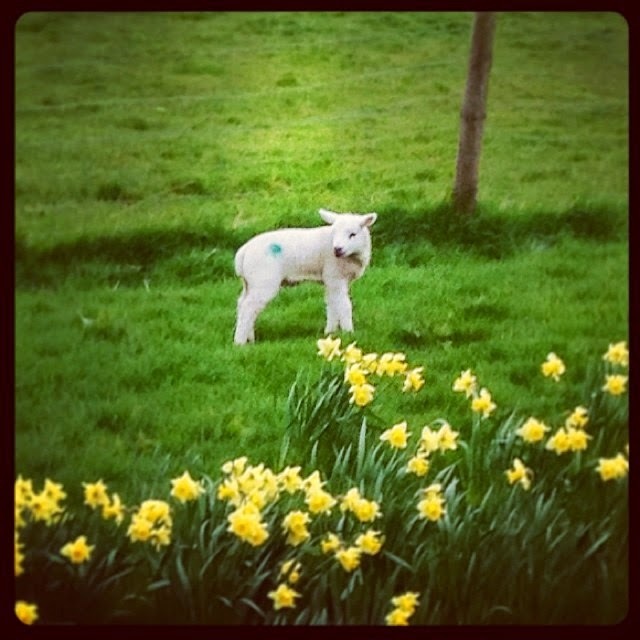 I love how the filter you have used here emphasises the blue-ish green of the daffodil stems vs. the warmer grass green, and the little emerald spot on the lamb's fleece. Down here when Daffodils come it is a very welcome relief to the long dirge of the winter, and they really are a wonderfully buttery yellow! I could imagine playing with shading and different warm/cold greens working out of this image, and it would be interesting to play with the yellows and see how best to make them pop in the knitting like they do in this very spring time scene. I have been really enjoying exploring the greens of the Jamieson & Smith palette for The KNITSONIK Stranded Colourwork Sourcebook, and especially for the section I want to write that deals specifically with plants. What astounds me is how differently greens behave whether beside purple - as in my sloes design - or yellow - as in my hops design! The green and yellow parts in my knitting based around my favourite beer are to me reminiscent of the palette of your daffodils. 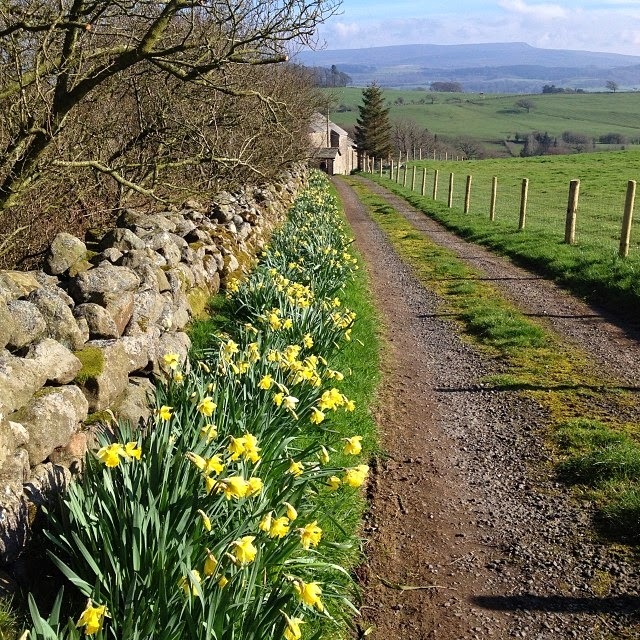 Susan: These particular daffodils are a very sharp, bright yellow as they appear in the photo so provide a very strong contrast to the almost flourescent grass around them. And with the darker green of the daffodil leaves as well as the grass and the holding mark on the lamb, there are at least 3 or 4 greens to play with, as well as the deepest grey/almost black depth of the shadows in the depths of the grasses and the foliage. With the natural shades of the lamb itself and the wooden post in the background you have a very classic 'Shetland' colour palette. I am amazed every morning how the colours in the landscape seem to alter and have noticed how when close up it contains a lot of quite sharp contrasts. 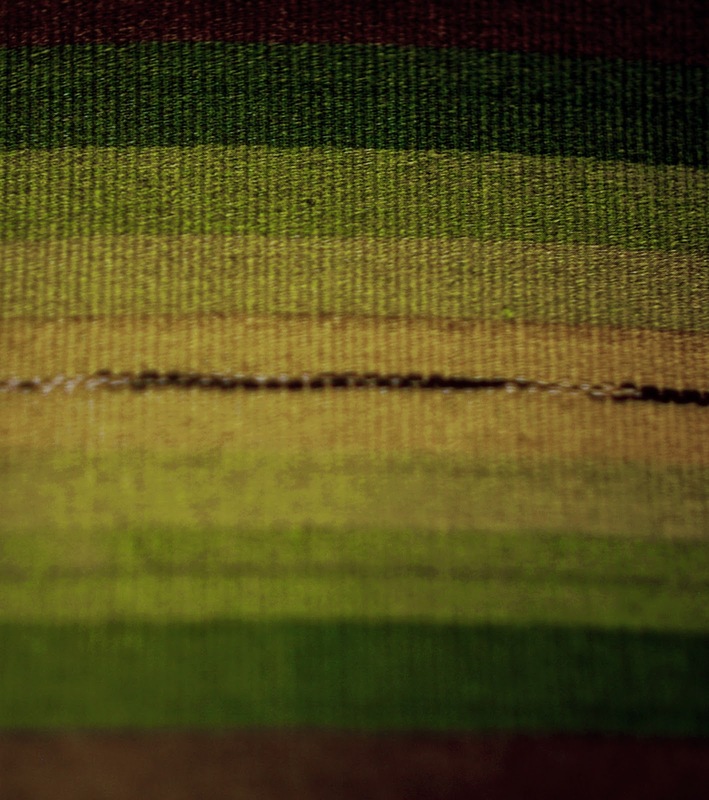 Felix: Yes - that selection of greens and the shadows in the depths of the foliage remind of a beautiful woven woollen blanket from the Karula Parish in Estonia, which plays with this similar palette in woven stripes. 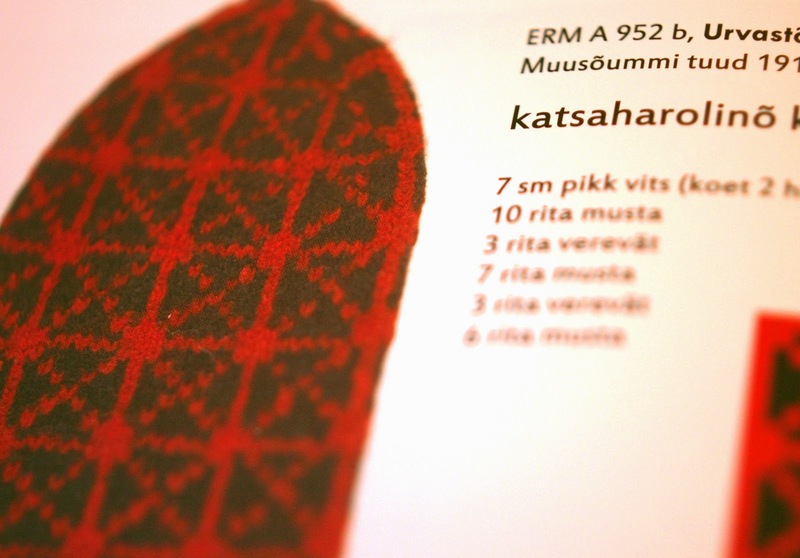 This blanket is held in the Estonian National Museum collection, and I found it in a book produced by a wonderful group of women living in the Karula Parish in South Estonia. Several of these women - including Olivia Till and Lilian Freiburg - are married to farmers. They develop wool products from what is grown on their farms in a collective, independent organisation called "Maavillane". They produced this book exploring the historical textiles from the Parish of Karula, and - as part of their exploration of local heritage - made their own skirts in the shades of the Parish, from wool they grew. I wanted to show you this blanket, because I think the ethos of these amazing women, growing their own wool, living on the land, and exploring their textile heritage, is not far from your own. 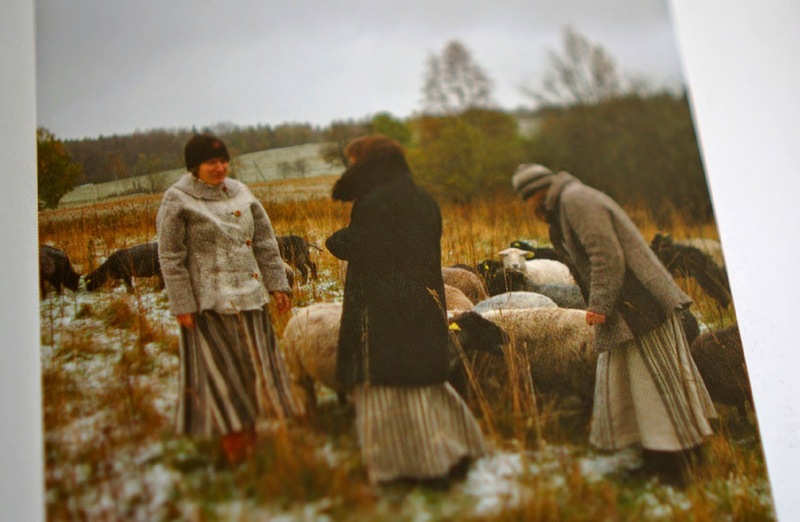 Here are Olivia (left) and comrades, wearing outfits made from wool they have grown, in a landscape far different from the one you now live in. Susan: I love this image. It has a 1920s/30s style to it. I have been looking at this period for inspiration for the perfect 'fashionable farming' outfit and this photograph has given me a lot of ideas! Felix: Is this the view of your driveway? Are you going or coming home in this image? What strikes me are the found stripes in both the tyre tracks and the fence-posts along the side, and that pine tree looks like motifs I've seen in lots of Nordic knitting. Susan: We were walking back down our driveway in this photo. Our house is the stone farmhouse with barns attached that you can see at the bottom of the drive. 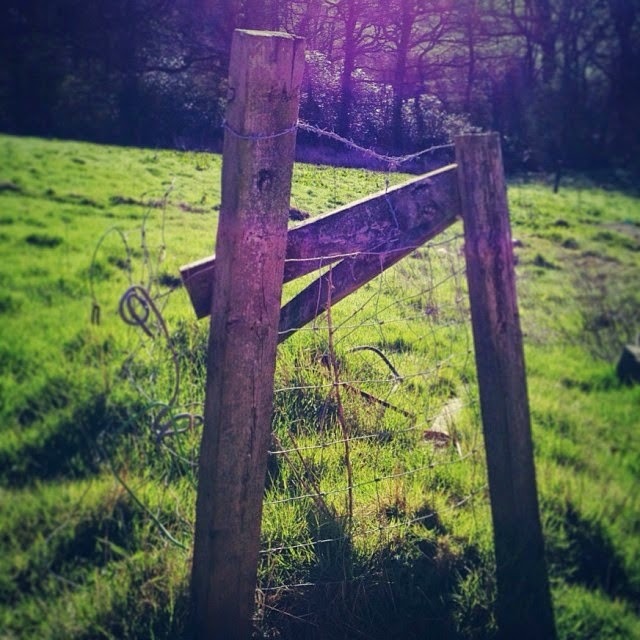 I wasn't even particularly conscious of the shadows caused by the fence posts when I took the photo but when I looked at it afterwards I immediately noticed them too. The walls and the gate posts all around the farm add straight lines to the undulating landscape dividing the expanse into sections that you can view separately or as part of the whole. Our pine tree is one of only two or three on the whole farm and it seems to really stand out at the bottom of the drive. Despite the driving winds that hit it, it has managed to achieve a remarkable amount of symmetry which is probably why its so reminiscent of the knitted tree motifs. Felix: Yes, the tree is very upright and symmetrical. 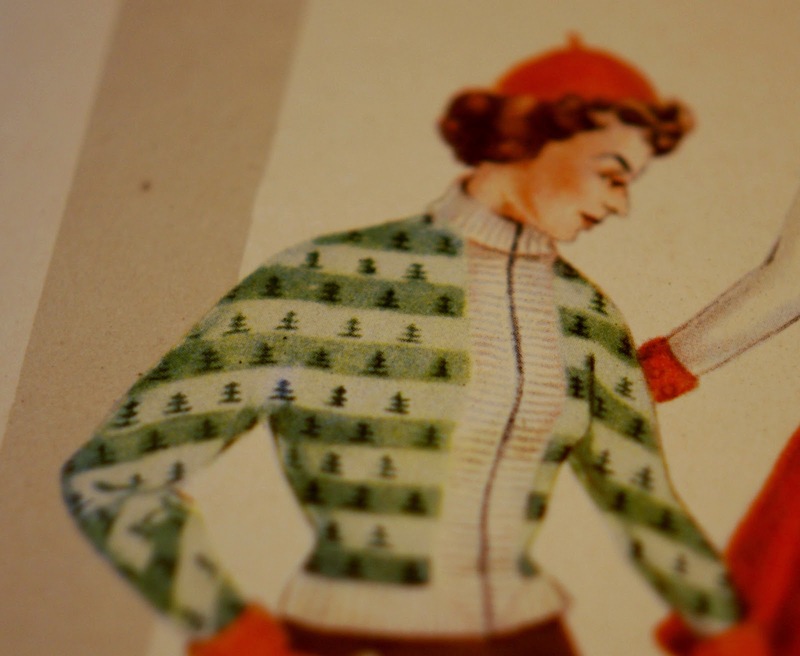 The combination of stripes, the striking tree, and the fresh greens really put me in mind of this ski-ing jacket from a Latvian knitting book I own, published in the 1950s. It could be wonderful to do something with the warm greys of your driveway intersecting with those bright shades and the pleasing geometry of the pines. Susan: As you might imagine, I love this with all my heart! I have a number of images very similar to this one in vintage Norwegian books in my library. Another potential direction! Felix: It feels like you've used a blue filter in the image below, but even so, it's amazing how the weather and the light change the colours of the view. Lilac and purple and russet in the one above and aqua and chocolate and blue in the one below. Susan: It's interesting that you've picked out these two images. 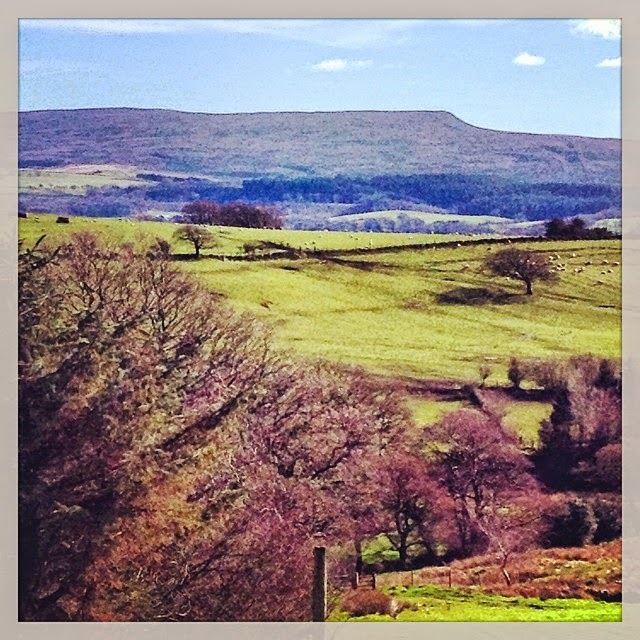 They show slightly different angles and at different distances of the vista across the Forest of Bowland - our farm is at the northern edge of the Forest (not actually a forest but a geographical area) and we look back at these hills in the Forest. 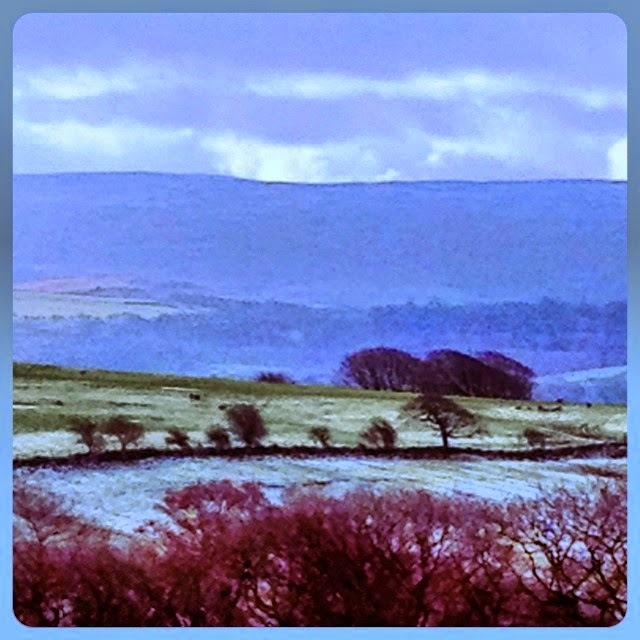 The first image is one that I look at every day and the colours change every day but the hill in the distance - Clougha Pike - always has this purple, pink and lilac cast to it, except on very very grey cold days like the image below. The pike itself is to the right and out of shot at this angle, but it was taken early in the morning after a ground frost and the low lying clouds teamed with the white frost on the ground created a very unusual light. It was still quite dark so I have lifted the image so that the detail can be seen but most of it is due to the crazy light conditions. It is suddenly such a different colour palette to the image above. I look at the pike every day to observe its changing moods! Felix: In terms of translating these different views into stranded colourwork, I am reminded of stripes, and of a brilliant blog post on the Faroestrands blog that I saw on the idea of STRATA and with those Cyan blues and brown lilac shades in the bottom image, I think of Patty Knox's 1980s classic, "New Directions in Fair Isle knitting" and especially the Waves V neck pullover which stacks up strata or repeated lines and shades in a similar but far more limited palette. 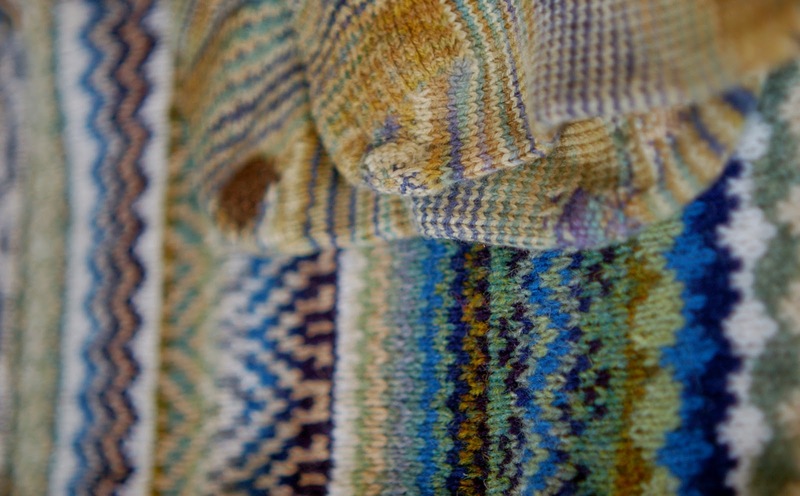 Significant challenges when translating the landscape into stranded colourwork include dealing with the sense of distance, and the variety of textures. Knitting is a flat plane, where your huge and glorious vistas of mountains go back for miles, and knitting has a uniform textural surface. Even if you vary the types of stitches that you use, and the types of yarn involved, it's very difficult to emulate the way different surfaces in the landscape reflect the light. Often the contrasts in the landscape are produced by differences in texture and how light is reflected rather than in shades alone, and I love working out how to compensate for that in stranded colourwork. 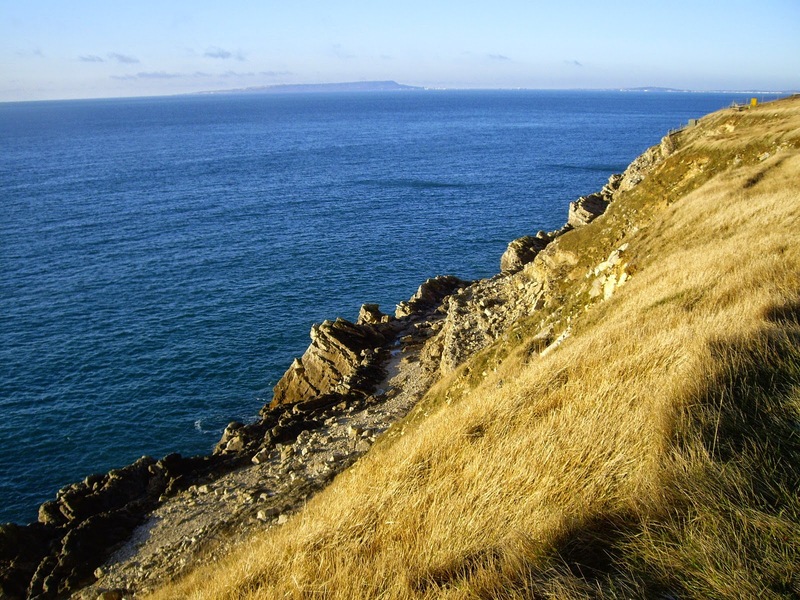 I was thinking a lot about this when working with my favourite old pair of socks, and the combination of the variegated yarns I used to knit them, and the landscape around Portland, near where Mark grew up. How do you create that sense of distance through shading? In this photo you can see my swatch, and the old, much-darned socks originally knitted in Lorna's Laces, Seashore colourway. This is Portland. You can see how distance and the same sense of a view as in your photos have influenced the order of blues and other hues in my swatch. In a totally different image, much less vista-ish and more close up, the red is so fresh and vibrant here on the chickens' combs against the bright greens and yellows of spring! Felix: It is so fresh and bright, and if you squint your eyes, there is a really nice sense of rhythm in this image, from the regular "beats" of the fence posts in the background, to the pops and bangs of the yellows and reds. The green is again very dominant, but in terms of thinking how I might take those vibrant colours and knit something representative of how they show up here, I want to show you this Latvian image from my 1950s book. A design like this which involves four colours per round on every third round would produce I think a fabric which would be quite bulky. Good for mitts to be worn in very cold climates, perhaps, but probably outside of the scope of The KNITSONIK Stranded Colourwork Sourcebook! 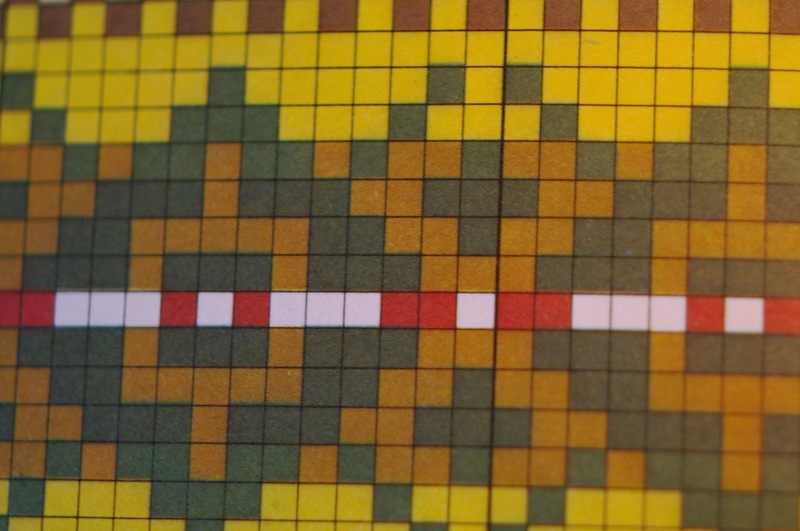 Still, it's very nice to see how shades are organised into patterns here, reminiscent of your chickens in the daffs, with their bright red combs. 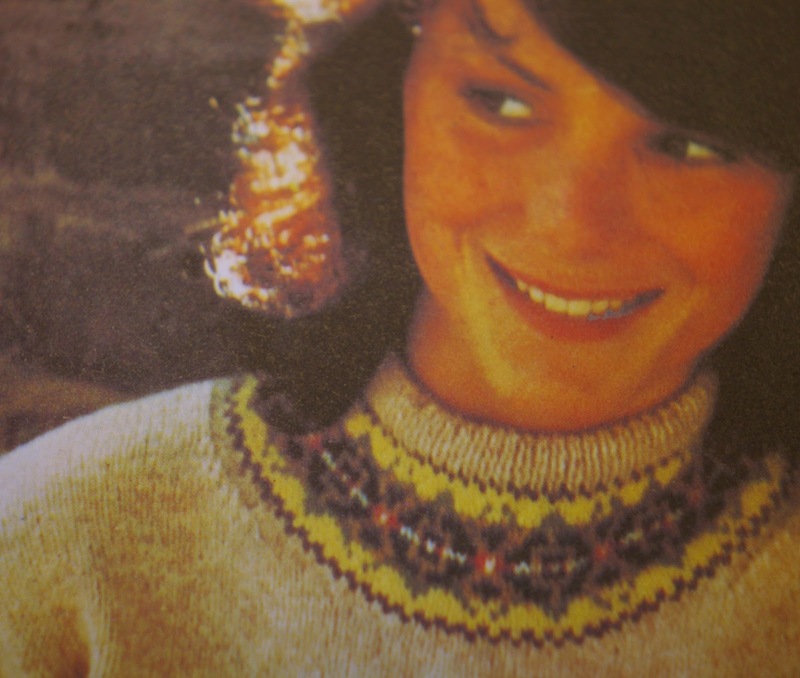 I also wanted to share how a palette very like your lovely instagram picture was used for a yoke in a 1970s knitting book I have called "Aran and Fair Isle Knitting". I think the similarities in shades are similar, though proportionally your chickens introduce far more white than there is in the yoke, here. Following what you say about black or white chickens, it would be amazing to see what would happen if the proportions in this design were stretched to accommodate how much white there is in your original photo, and/or swapped out for black to represent the high contrast chicken palette you imagine around your farm in the years to come! And I love this slightly busted looking fence for its prosaic qualities, for the challenge it presents to the stranded colourwork knitter! How to wrest something pretty and delicate from a worn bit of fencing, but - look closer - there is a windowpane pattern in that wire, studying the barbed wires may even yet yield something interesting, and even the arrangement of the timber suggest an exciting geometric form that could be amplified across the surface of your knitting! Susan: I have always photographed broken, damaged, tumbling down, decaying things. I find them particularly beautiful but I agree completely that they are more of a challenge to find an obvious design within them as they have often lost their symmetry and can at first glance appear quite 'ugly'. I would love to see what you would make of this one. As you say, there are a whole number of aspects you could isolate and use in a design. Funnily enough on the surface the shape of the gate and the wire pattern within suggest a section of a lace repeat to me so it is more of a challenge to me too to see it as stranded knitting so this is the one that I think I really need your help with! One of my favourite books picked up during my Estonian travels was written by the amazing craftswoman and artist, Tuuli Tubin. It documents mittens from Võromaa, Tuuli's home county. 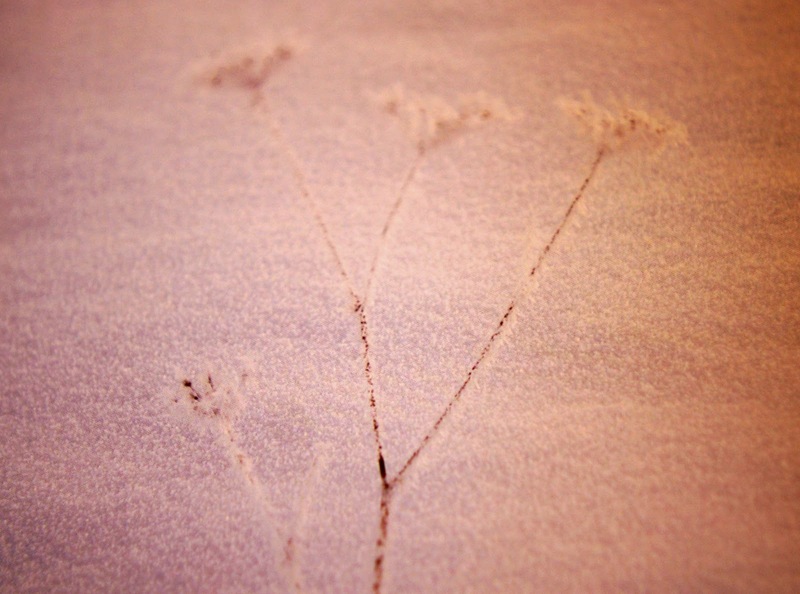 The book features lovely images of old mittens, interspersed with photos of the county in Winter. Like what we are doing here, it links place, landscape, textiles and heritage together, and reading through it creates lovely suggestions and connections between ideas. Perhaps my favourite pairing in the book is a double spread which features a very graphic red and black mitten on the left hand side, and then a delicate print of some kind of plant umbel dried and dead and pressed in the deep snow. For me this pairing is genius - like your broken fence with its trailing wires, it makes links between the lines we find around us and the lines we plan when we design. Felix: I have really enjoyed sharing some of my textile books and ideas about stranded colourwork with you here - I hope you and your readers have enjoyed it, too! I am not sure yet whether I will work with ALL of the ideas from this post for my giant Monkley Ghyll swatch, or just several, what about you? It will be nice to see what we both come up with in November when The KNITSONIK Stranded Colourwork Sourcebook comes out, and it's beautiful to be ending this blog tour with the prospect of some future knitting to come. 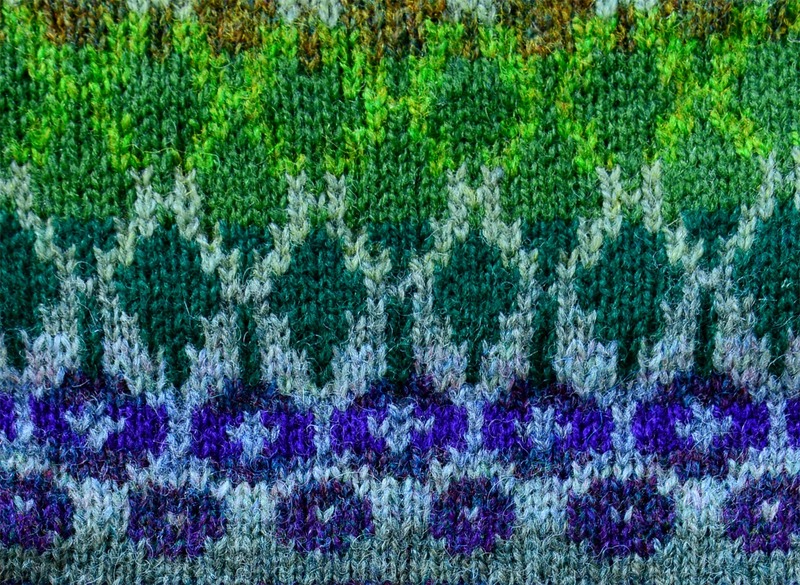 Susan: Its been a delight to share these images and ideas with you and I’m very, very excited to start on some colourwork ideas that are forming out of our conversation. I have particularly enjoyed how you have used so many books to inform your creative ideas, which is exactly how I approach the design process myself and as many of my books are still packed away in boxes it has been wonderful to dip into your library and get inspiration from them and from you. I for one, can’t wait for November when your book comes out and we all get the chance to share your creative processes with you. Thank you so much for stopping by the blog. You can find out more about Felix's work on her website and don’t forget you can contribute to Felix’s Kickstarter campaign and be sure of your copy of this truly inspirational book until the end of the day. One of the dreadful things about moving house is that you mislay everyday things that are usually just there when you need them. Equally however, one of the wonderful things when you move house, is that you find treasures that you hadn’t been able to lay your hands on previously, or had even forgot you owned. As I continue to open box after box I keep finding examples of these treasures - some of which I’ve since put somewhere safe and now can’t find for this blog post! There is also much categorizing that needs to be done, particularly of my knitting and sewing objects, so I thought I would start with some of my favourite ‘lost’ but now found sewing patterns. 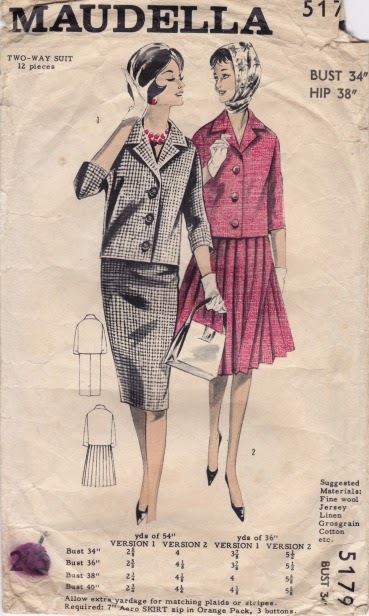 The first is this two piece skirt suit from Maudella patterns of Bradford. I really don’t know anything about this Company but it interests me that there were sewing companies aswell as knitting and spinning companies in Bradford at this time. The pattern offers one jacket with two skirt styles. The pattern pieces are unprinted, marked only with large and small punch holes to denote straight grain positioning and cutting lines only. 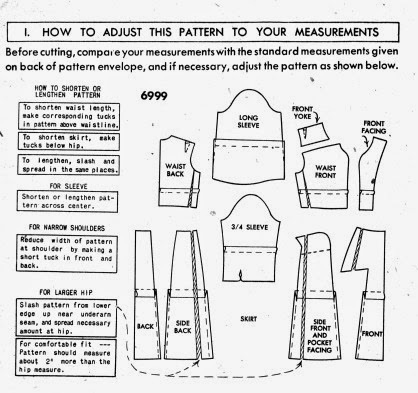 The front cover of the pattern envelope gives yardage for four sizes of suit but the pattern pieces themselves are for one size only which in this case is bust 34 inches and hip 38 inches. 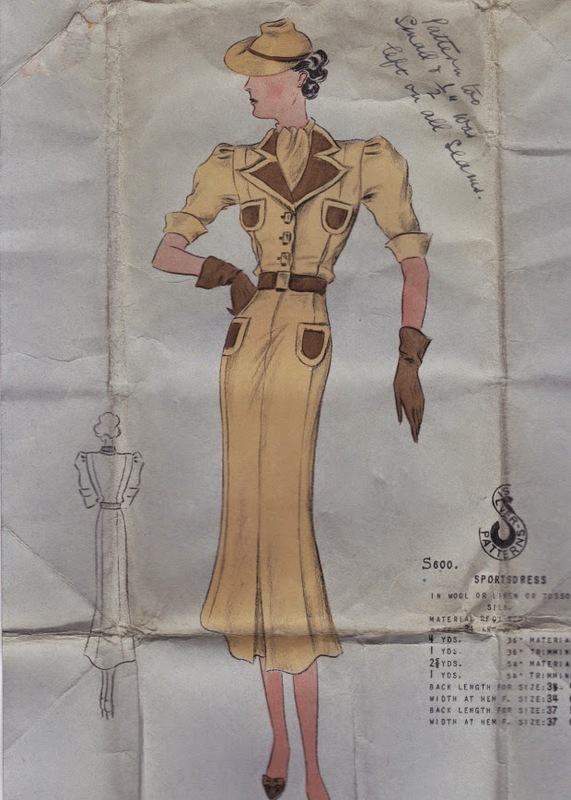 The illustration as is always the case with vintage patterns is beautifully drawn with a slightly more mature lady in an elegant dog tooth check version of the suit, with the pencil skirt version and a more relaxed, youthful version alongside her, coordinating the suit with a Grace Kelly/Audrey Hepburn style headscarf. Note that both women are wearing the obligatory white gloves. 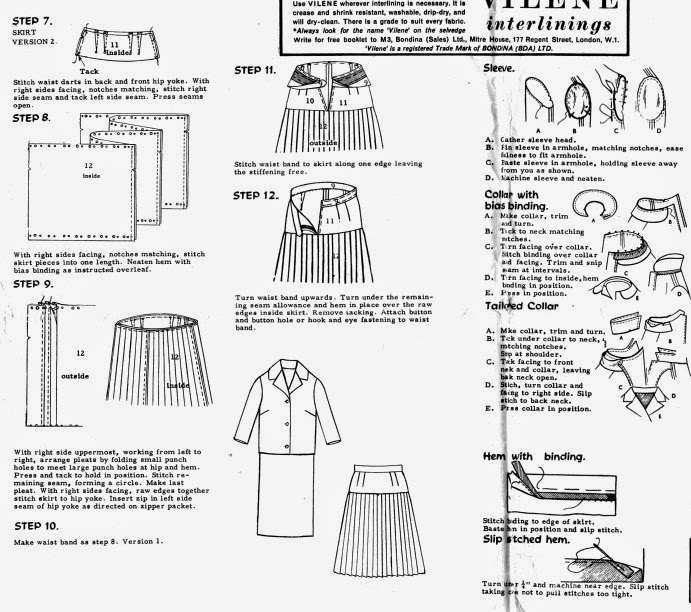 Surprisingly both jacket and skirt are unlined and less surprisingly the instructions are quite compact, although beautifully drawn. 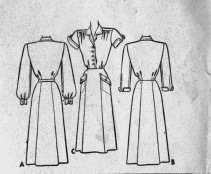 The second is a 1940s shirt dress printed in the US by the sewing pattern giant, McCalls. This is a completely unused pattern with the pattern pieces not even cut out as yet. 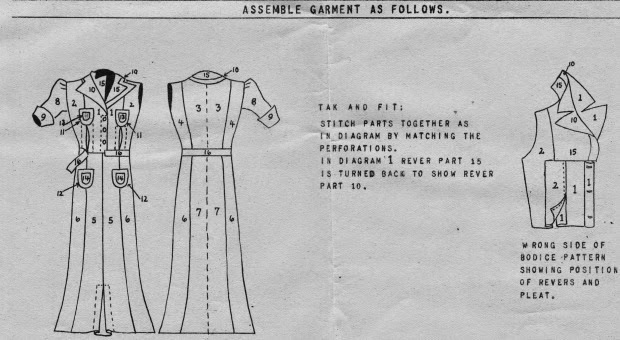 Unlike the UK pattern from several years later, the pattern pieces are all fully printed with many of the details we expect from our dressmaking patterns today. This is also a larger pattern than many in my collection as it is a US size 20 which equated to a 40 inch bust. 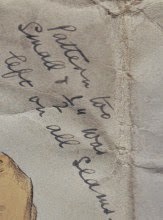 The instructions are quite complex and are all squeezed onto one side of paper, which could explain how it has escaped being made for so many years. There is a handy section on the instructions of how and where to adjust your pattern if changes are needed. The illustration is once again beautifully drawn. With two slightly different options shown. 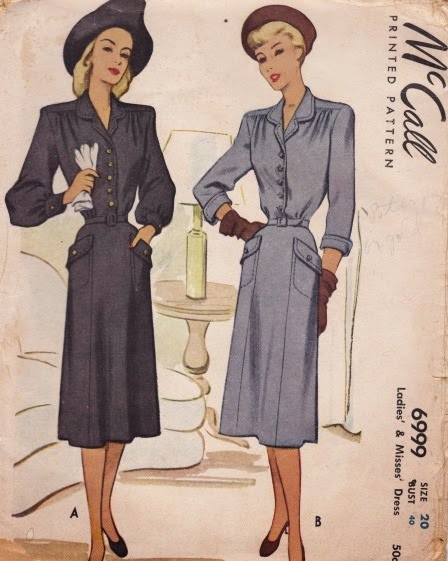 There is a third more casual option, option C, which isn’t shown on the front cover, which I particularly like with short sleeves and turned back cuffs. This is high on my list of would love to make. And one final pattern for today is this quite stunning sports dress from Silver Patterns - again a Company I haven’t heard of other than on this pattern. The pattern itself doesn’t come in a proper envelope. The colour illustration is printed on a heavy weight piece of paper which is simply folded around the pattern pieces and instruction sheet. The pattern pieces have notches, piece numbers, grain line arrows, stitching lines and some other basic information which is just as well as the actual construction instructions are the briefest I have seen on any pattern. Quite a challenge, no? 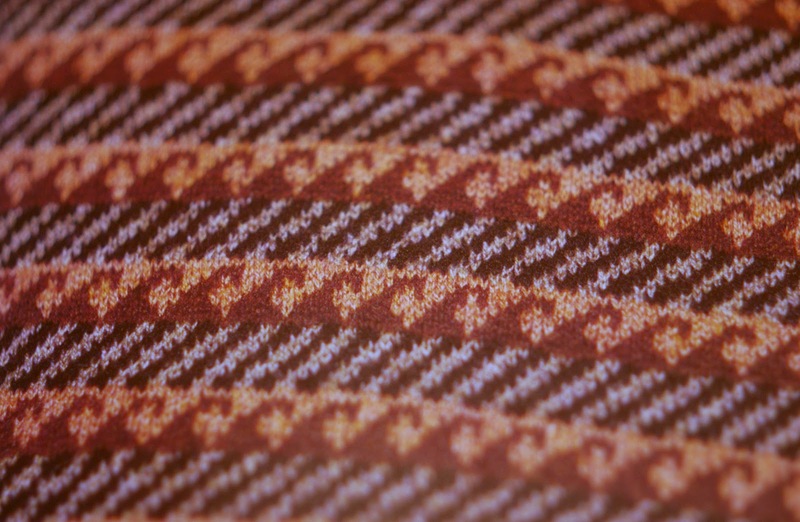 Amazingly, out of the three patterns I’ve shared this is the only one which has actually been used. One the frontispiece, the sewer has written some notes for fitting adjustments needed. The lack of instruction did not presumably put ‘her’ off this particular project. I continue to be intrigued by how little explanation both knitters and sewers of this period needed from the patterns they used. Where they really so much better than we crafters of today who have access to online tutorials for every technique imaginable? Where they simply satisfied with a poorer finished product and would have preferred more comprehensive instructions if they had been available? Or where they more prepared to jump in, confident that they would be able to work out how to do something? What do you think?